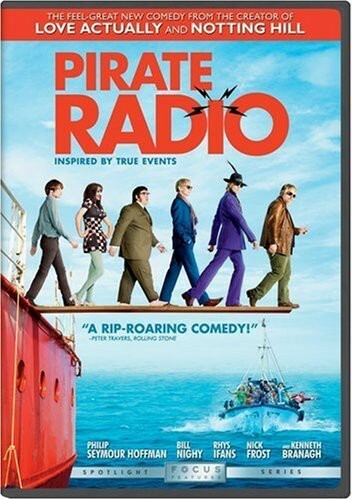 Pirate Radio is an ensemble comedy in which the romance takes place between the young people of the '60s and pop music. It's about a band of rogue DJs that captivated Britain, playing the music that defined a generation and standing up to a government that, incomprehensibly, preferred jazz. The Count, a big, brash, American god of the airwaves; Quentin, the boss of Radio Rock - a pirate radio station in the middle of the North Sea that's populated by an eclectic crew of rock and roll DJs; Gavin, the greatest DJ in Britain who has just returned from his drug tour of America to reclaim his rightful position; Dave, an ironic, intelligent and cruelly funny co-broadcaster; and a fearsome British government official out for blood against the drug takers and lawbreakers of a once-great nation.